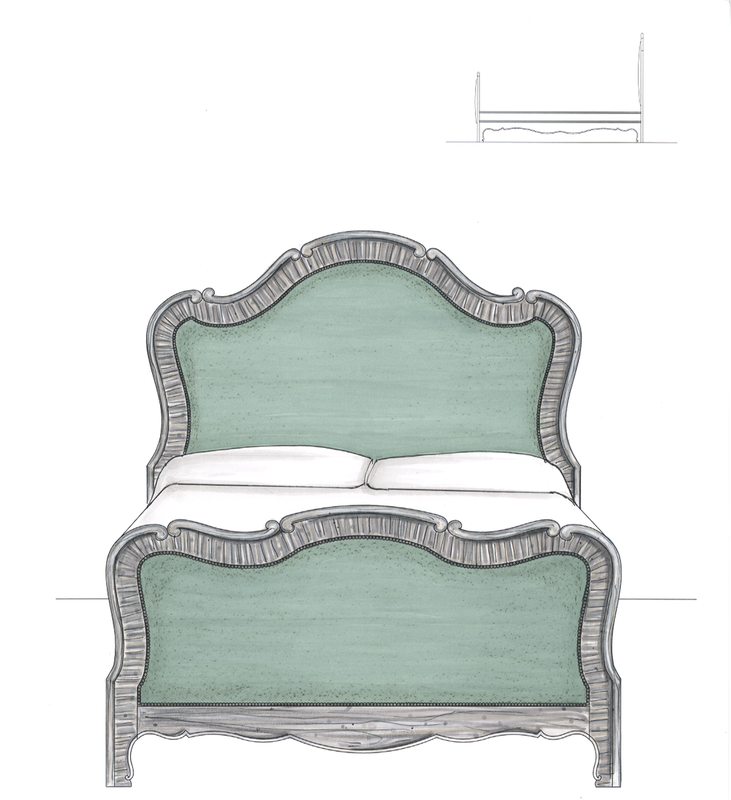 CONCEPT: The curving motion of the cabriole leg, emphasis on comfortable upholstery, fluid forms, and scroll feet – these are just a few of the characteristics that represent provincial furniture during the period of Louis XV. Unlike its’ rectilinear predecessor Louis XIV, Louis XV emphasized comfort, curves, and revolutionized carcass shapes – bombe and serpentine shaping were used extensively. Popular carved ornamentation include roses, baskets, acanthus leaves, and bouquets of flowers tied with ribbon. 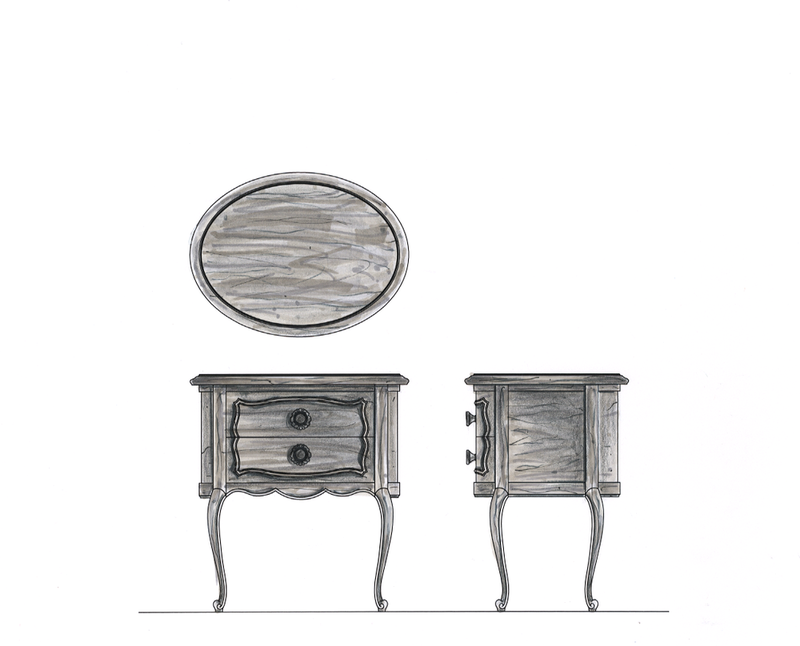 For this dining and bedroom collection – I wanted to focus on keeping the stylistic integrity of the period, while also accommodating the lifestyle of today’s users. 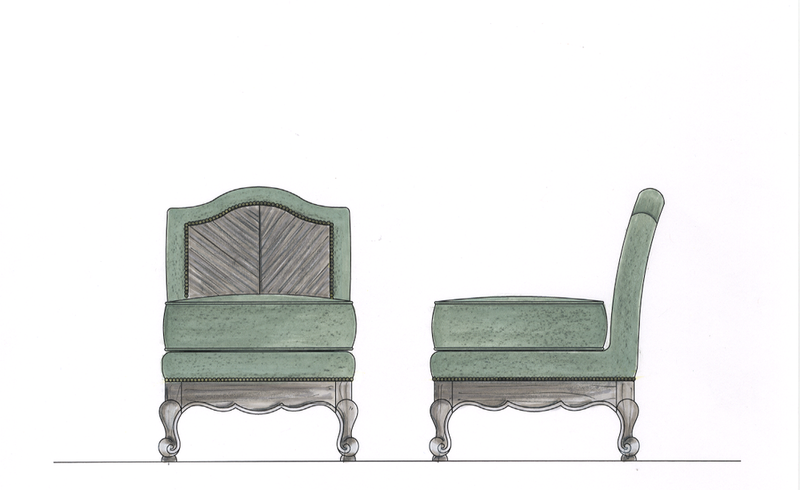 Throughout my preliminary research, I noticed that provincial Louis XV furniture was relatively complex in its’ form, and that it relied on curvilinear forms to draw visual interest. 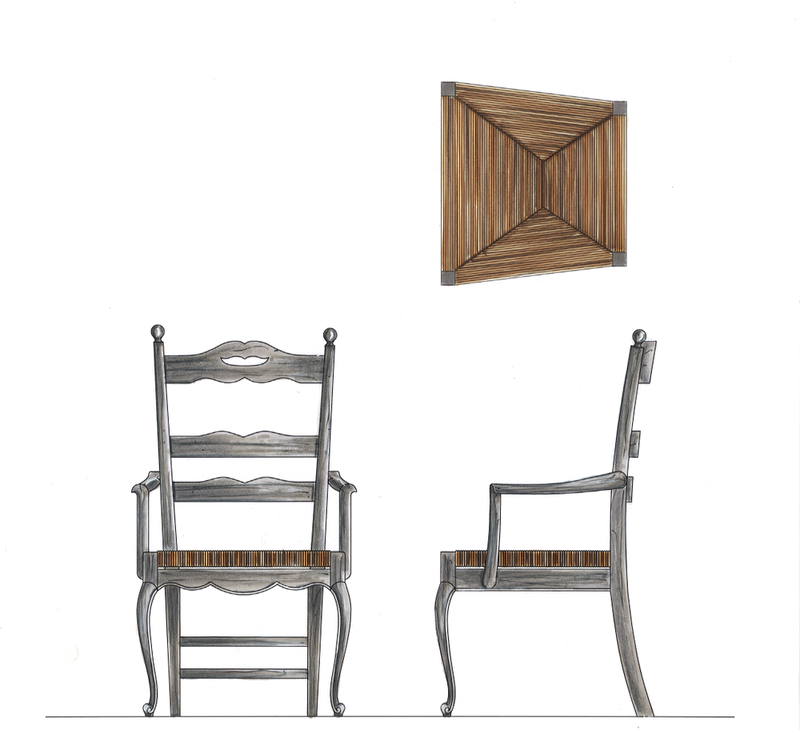 I chose to keep the forms of my collection similar, and cohesive with the use of the ogee and thumb shape edge profiles, scroll feet, basket weave motif and bail pulls. 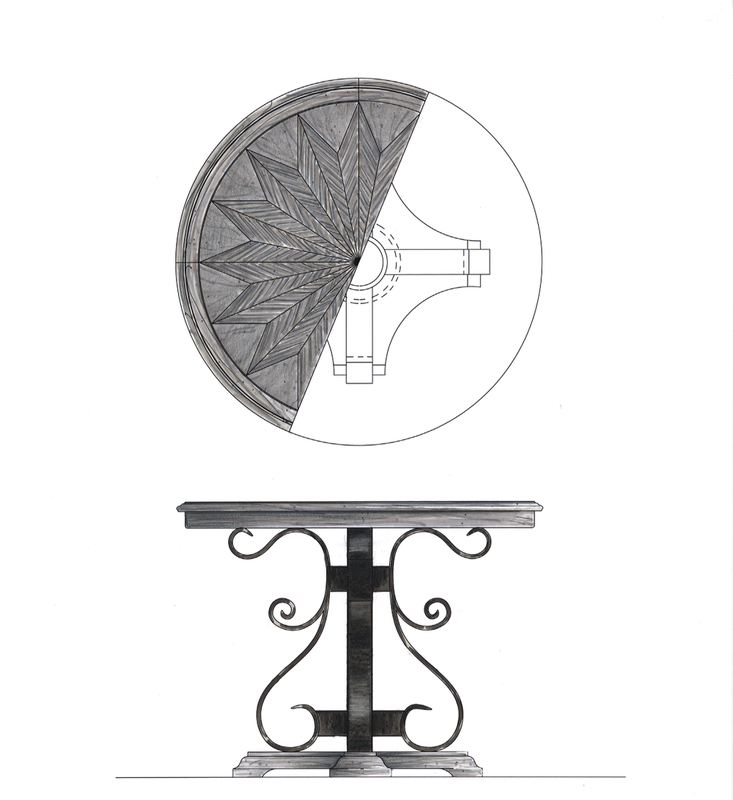 I took inspiration from the curvilinear forms of iron fencing, and decided to implement this accent material within a few pieces – a round dining table, buffet and deck. 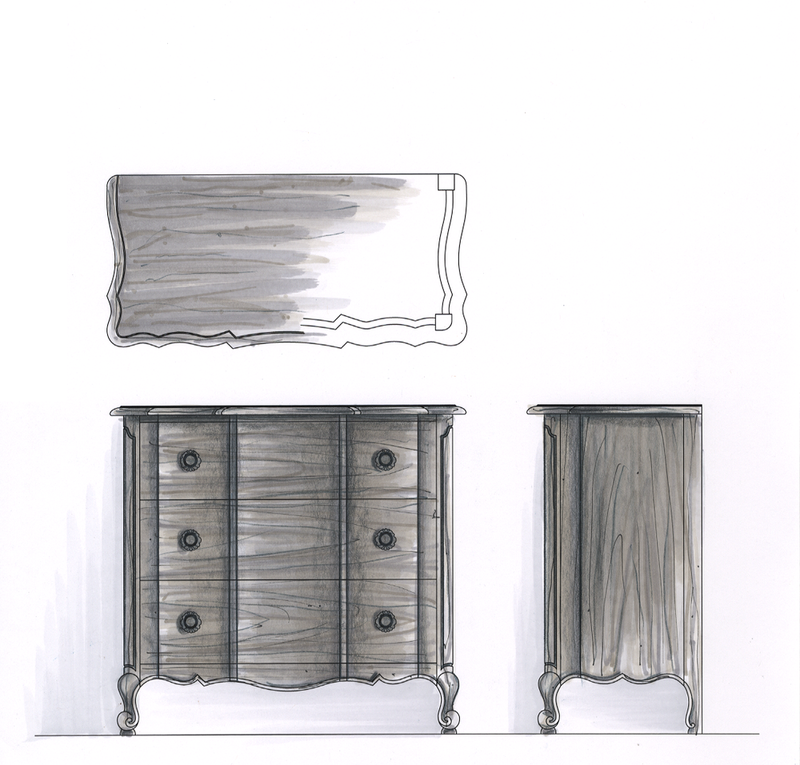 The materials that I used within this collection are wrought iron, rustic pewter furniture hardware and grey stained oak.